See here and the help file for details on how to create such a category. Tip: You can download the above Click and Search by Date category here. 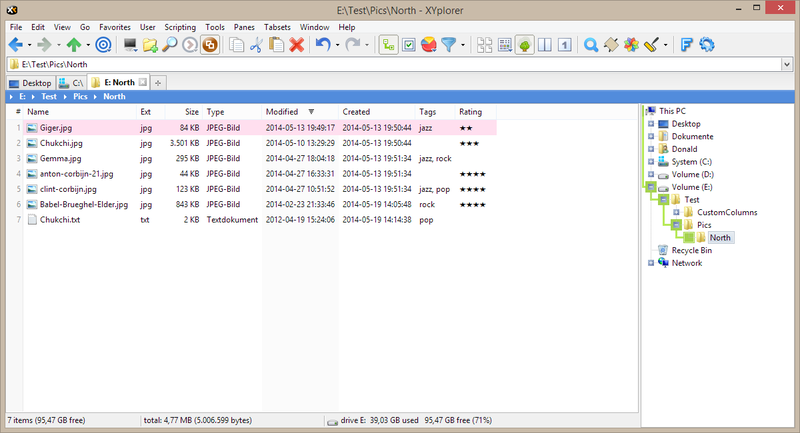 Unpack the ZIP archive in your Catalogs folder in XYplorer's application data folder. Then import the category into your current Catalog via Catalog right-click menu | Catalog | Import Catalog..., select file "CAS_ByDate.dat". Tip: You can download the above Click and Search by Age category here. 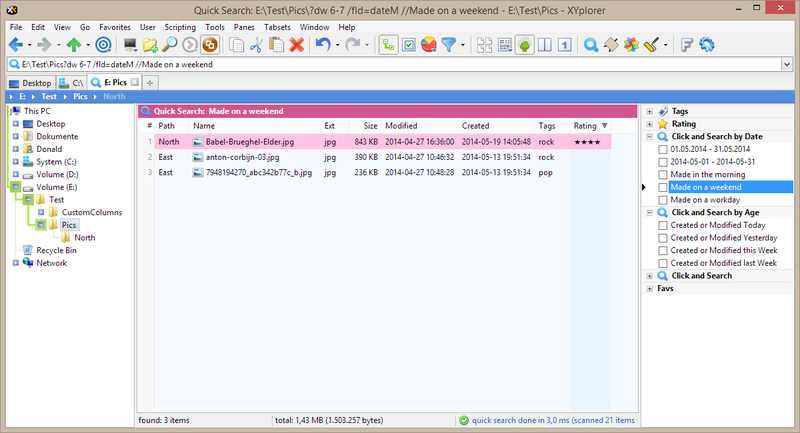 Unpack the ZIP archive in your Catalogs folder in XYplorer's application data folder. Then import the category into your current Catalog via Catalog right-click menu | Catalog | Import Catalog..., select file "CAS_ByAge.dat". Layout. Many new layout options, and you can save and load layouts. Note also the new Wide Tabs setting in the above screenshot. More space for the tabs and for loooong paths in the Breadcrumb Bar. 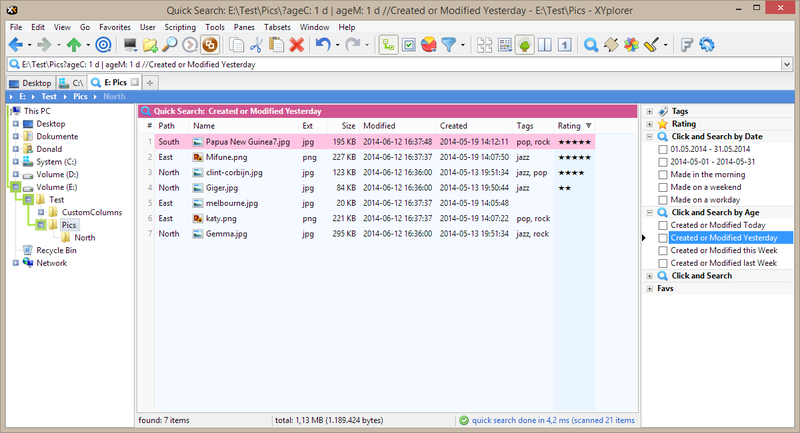 Note the new Load Layout... and Save Layout As... commands at the bottom of the Window menu. Here you can store any number of layouts to small configuration files that can later be easily loaded into the current window. Content Search. Much faster than before.